Ex-MK warns against 'frightening' law that would annul parents' status as guardians over their children. Ex-MK Moshe Feiglin has come out against the proposed "Parents and their Children" law, which the Ministerial Committee on Legislation approved for legislation Sunday, calling it "a frightening law." "The divorced fathers who support the law because of the cancellation of the Tender Years Clause [which currently gives mothers an advantage over fathers in custody of children after divorce – ed.] will wind up bitterly disappointed," the head of the Zehut party predicted on Facebook. "The courts will only make rare use of this clause in favor of the fathers." "But the parents who got to raise their children in married bliss, will discover that the last vestige of their parental authority has been taken from them. He explained: "The law replaces the natural guardianship of parents over their children, as set into law in 1962, with 'parental responsibility' that means, in practice, that the guardianship over the child is now in the hands of the state (! ), which does the biological parent a favor by letting him hold on to the child for as long as it deems fit. 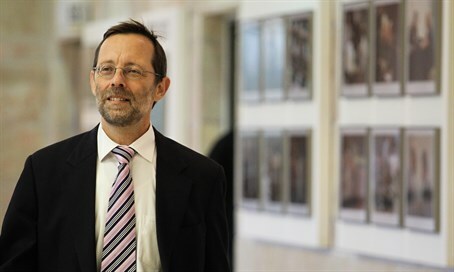 Feiglin pointed out one of the clauses that Arutz Sheva has been emphasizing in its exclusive reports on the bill: "If, for instance, the court decides that the parents are not teaching their children to respect people 'regardless of race, religion, nationality or origin,' as the law states, then the state will be able to take the child back into its hands…"
Feiglin warned that some people will be skeptical and say – "Things like that don't happen here." "But they do happen – I have seen it with my own eyes." "Even today, the responsibility for educating the child rests with the minister of education, not the parent. When this bad law passes – the responsibility for raising the child will also be the state's – not the parent's." "Today, already, children threaten parents who try to educate them, with informing on them to the authorities. Parents simply fear their children. The members of the communist party (in the Joint List) can rub their hands in pleasure – Stalin is here." Feiglin may have been referring to MK Aida Touma Sliman of the Arab Joint List, who heads the Knesset's Committee for Advancement of Women, seen by conservative critics as a committee with an anti-family agenda, along with the Committee for Children's Rights. The Committee for Advancement of Women and the Committee for Children's Rights were established by then MKs Naomi Chazan (Meretz) and Tamar Gozhanski (communist Hadash) during the Rabin government of 1992-1995.